We are ready for the summer heat! Our essential today is our thrift shop Levi shorts which we literally live in all summer long. 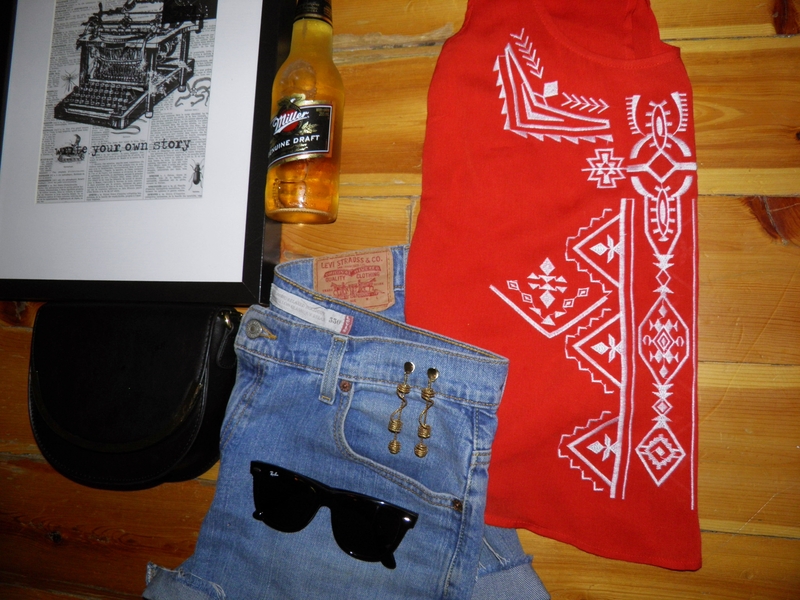 The light, breezy and bright coloured tank with tribal detailing is a recent purchase from Forever 21. The open back helps to cool down and works well for anyone getting ready for a music festival or concert (yeah you going to OVO Fest or Osheaga or Lollapalooza). We kept the accessories simple today with a black purse from H&M, Ray Bans, a pair of earrings bought in Brasil, and a refreshing MGD.